The same day, the Senate campaign for Rep. Luke Messer, R-6th, announced it raised $735,000 in the quarter and has more than $2.4 million in cash. Messer is among six announced candidates who seek the Republican nomination to oppose Donnelly in the 2018 general election. Donnelly's campaign noted that small "grassroots" donations made up the bulk of the senator's contributions during July, August and September. More than half the contributions were for $15 or less, it said, and 84 percent were for $50 or less. Donnelly's campaign manager, Peter Hanscom, said in a statement that Donnelly's supporters had "responded incredibly" to the senator's campaign launch, in which he toured Indiana in a recreational vehicle for a week in late August. Messer's campaign said that because more than 80 percent of his contributions in the third quarter came from Indiana residents, "it's clear Luke Messer has emerged as the choice for conservative Hoosiers." 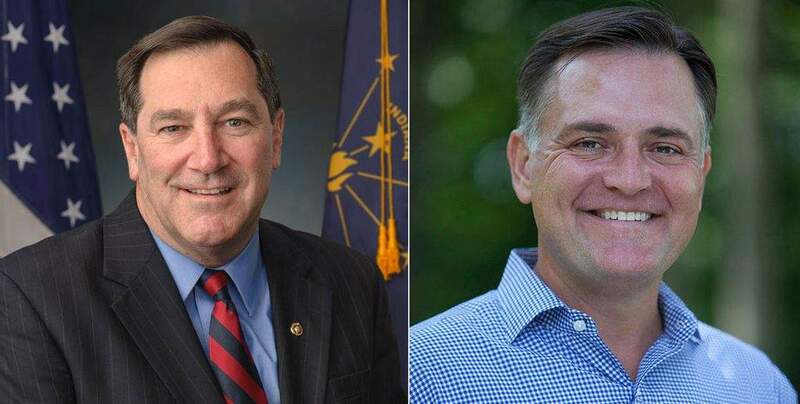 Joining Greensburg resident Messer in the GOP field are U.S. Rep. Todd Rokita of Brownsburg, state Rep. Mike Braun of Jasper, Hamilton County entrepreneur Terry Henderson, Kokomo attorney Mark Hurt and New Albany college administrator Andrew Takami. Braun's campaign, which kicked off in August, announced recently that it raised more than $1 million during the third quarter. About $800,000 of that amount reportedly came from Braun, who owns an auto parts distribution company. Campaign finance reports for the quarter must be submitted to the Federal Election Commission by Sunday. Donnelly, a former U.S. House member from Granger who won election to the Senate in 2012, is considered among the more vulnerable Democratic senators up for re-election next year. Republican Donald Trump carried Indiana by 19 percentage points in the 2016 presidential election. Three non-partisan political analysts – Cook Political Report, Inside Elections and Sabato's Crystal Ball – are calling Indiana's Senate race a toss-up regardless of Donnelly's Republican opponent in the 2018 general election. Two other Democrats rated as toss-ups have released their third-quarter finances. Sen. Claire McCaskill, D-Mo., reportedly raised more than $2.9 million in the third quarter and has more than $7 million in campaign cash on hand, while Sen. Joe Manchin, D-W.Va., reportedly raised about $1 million and has $4.1 million in cash.